Prickly pear cactus, or nopales, are a traditional food in certain parts of Mexico. Their slightly sour green bean-like flavor adds an irreplaceable note to Mexican-style stews and stir-fries. Cook, drain and rinse sliced nopales to add to your desired dish or grill them whole before dicing for a fresh twist on salads and salsas. 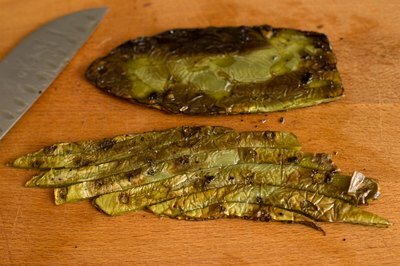 Treat canned nopales as if they've already been boiled; simply rinse and use them in your desired dish. 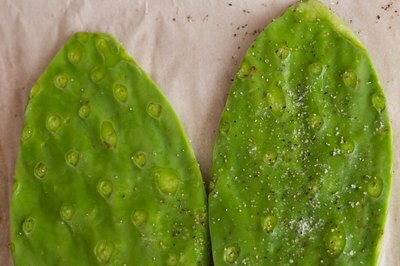 Find prepared raw cactus pads at the grocery store de-thorned, whole or already diced. Use diced or thinly sliced cactus. 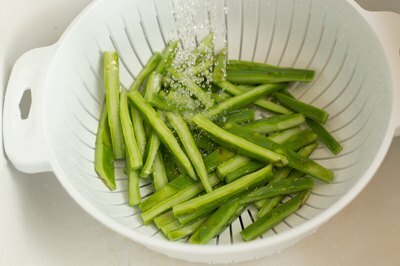 Rinse the diced or sliced cactus in a colander under cold running water. Bring a pot of salted water to a rolling boil over high heat. Add the prepared cactus and simmer for 15 minutes. Watch for foaming over and reduce heat if necessary. Drain cooked cactus in the sink in a colander and rinse with cool water. Let it continue to drain as it cools. 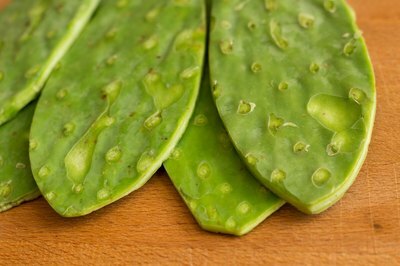 Use the nopales in a salsa, soup, stew or stir-fry. Set an outdoor grill or heavy-bottomed pan to medium-high heat and allow it to heat thoroughly. For this method, the cactus paddle must be whole and not diced. Rinse the entire de-thorned paddle and pat it dry. Rub the cactus with oil and season it with salt and pepper. 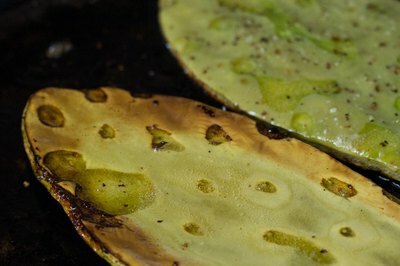 Lay the seasoned cactus paddle on the pre-heated hot grill or pan. Allow it to cook without turning for approximately 3 to 5 minutes or until slightly charred, and then flip it with tongs and repeat on the other side. 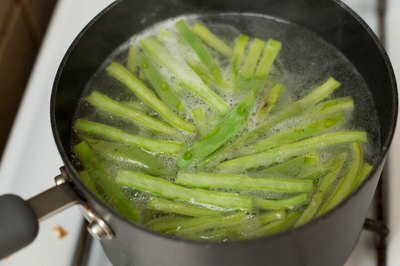 Remove the cactus from the heat and allow it to cool before dicing to add to salads, salsas and other dishes. Alternatively, slice it into large strips and use it as an alternative filling for tacos. 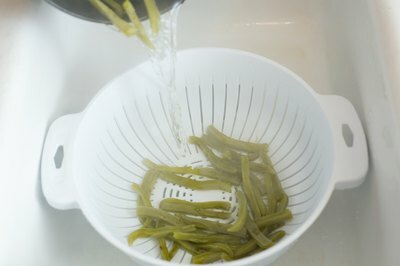 How Long Can Snapped Green Beans Sit Out?